Sonic Stadium noticed on a job listing on LinkedIn for SEGA Hardlight that they are developing a new iOS game titled Sonic Dash. Hardlight has previously worked on Sonic Jump for iOS/Android and the PC version of Viking: Battle for Asgard. The job listing also says that they are working on both new IP and existing SEGA IP (such as Sonic). SEGA has already altered the job listing to remove any mention of Sonic Dash, but Sonic Stadium had screen capped before they removed it. Going by the name, I think it’s safe to assume that this game will be in the style of endless runners like Canabalt and Temple Run (Which totally copied Sonic and the Secret Rings), or something level-based like Rayman: Jungle Run. Anyway, it seems like the drought of upcoming Sonic games that we know of is finally over! This new style of gameplay, which from here on we’ll call Tactical Debugging Action/Adventure™, has already drawn some talented programmers to sift through the game’s code on the PC version in an effort to enhance the game graphically and could potentially lead to repairing other issues such as enemy A.I. 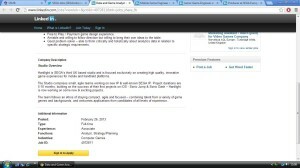 and other parameters. 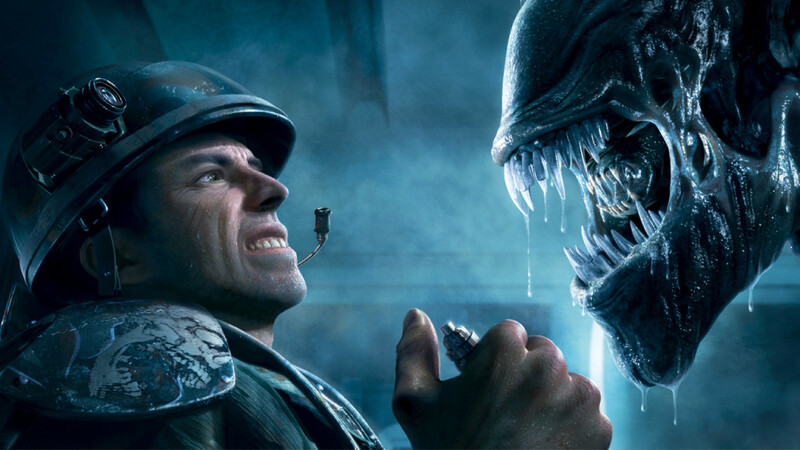 Okay, even I wasn’t sure of what would happen on the release of Aliens: Colonial Marines when I wrote my initial preview of the game. If you’re a PC user, you could look over some fixes and patches a dedicated community is looking into. A real unfortunate turn out for a game that’s been in development for over six years. Either way, it’s a Monday Tuesday which we put off for a week, but word is still mum in the world of video games, which will change shortly. Until then, here are a few things that are worth your attention. Mobius: 25 Years Later: The Review, Part 16 – Whatever Happened To Ken Penders? 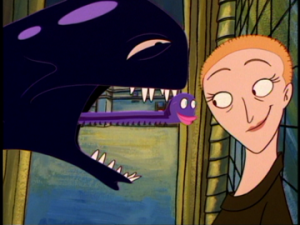 When Ken first wrote the ending to Princess Sally’s Crusade, it’s doubtful that he thought beyond that simple page of a happy ending. A moment where Sonic and Sally were able to find peace, years after their battle with the evil Dr. Robotnik had come to a close. 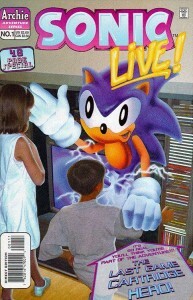 Back when the Saturday morning cartoon still reigned supreme, before Sonic Adventure and the Japanese continuity became commonplace, even before most Americans realized there was another comic book being published in the U.K. that tried to be closer to the games, albeit the Kintobor storyline that no longer is considered canon by anyone who works in the halls of SEGA. It was a just a moment where Ken thought he’d be clever, coming up with an interesting spin on the origins of NICOLE, something the TV show never got the chance to cover. By the time Sonic the Hedgehog #131 hit newsstands, no longer was the comic book storyline the simple tales of good versus evil. The main story had taken on numerous twists and turns, incorporating elements from other shows, other games, a hodgepodge of Sonic the Hedgehog that didn’t always gel correctly. If Ken were to make a comprehensive future of every single character, of every single possibility, he may have gone mad. Indeed, sometimes it felt like his own mental state was in danger, with all the rumblings of internal strife happening in the halls of Archie Comics. Sometimes, it was a miracle the book was published at all, regardless of the quality. 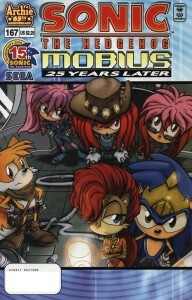 As stated before, when Ken’s final installment of Mobius: 25 Years Later saw print in Sonic #144, that was never the intended ending. Ken had not gone through all that effort to leave the future as a perpetual cliffhanger. There were plans for more, though they never saw fruition. The happy endings for Sonic, Sally, Knuckles, Lara-Su and the rest instead remained only in Ken’s mind, until Ian ushered his own interpretation of the future. When Ian Flynn took over Sonic the Hedgehog as main writer back in 2006, his first task was to wrap up everything the comic had been doing for years. Strung out plotlines with little resolution had become the norm, and had definitely run its course. Sonic #160 through Sonic #174‘s primary purpose was to bring everything back together and reign it in so #175 could be an easy jumping off point, not just for the reader but for Ian to write his own stories involving the sprawling cast of the comic. 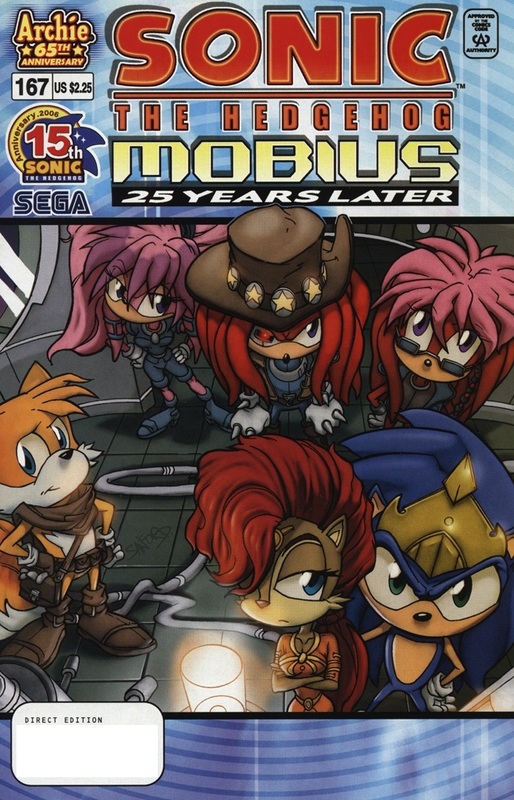 Part of that spring cleaning was the initial resolution to Mobius: 25 Years Later, even if it had been two years since the storyline had been an ongoing feature in the book. Though it is possible that revisiting the future would have been on Ian’s mind eventually, the two-part conclusion was not something he decided to write, but was instead editorially dictated by Mike Pellerito. Wanting to also wrap things up to make things easier for oncoming readers, he instructed Ian to find a way to end Ken’s futuristic epic in 22 pages, spread out across two issues. Not content with just having Ian come up with his own ideas, he demanded the young professional incorporate an element in the narrative that could be seen as coming from out of left field: the arrival of King Shadow. These price cuts do not apply to Europe (at least not yet). Because these games are being sold on PSN they can also be played on the Playstation Vita. Hey look, it’s Sunday. What do you do on a Sunday? 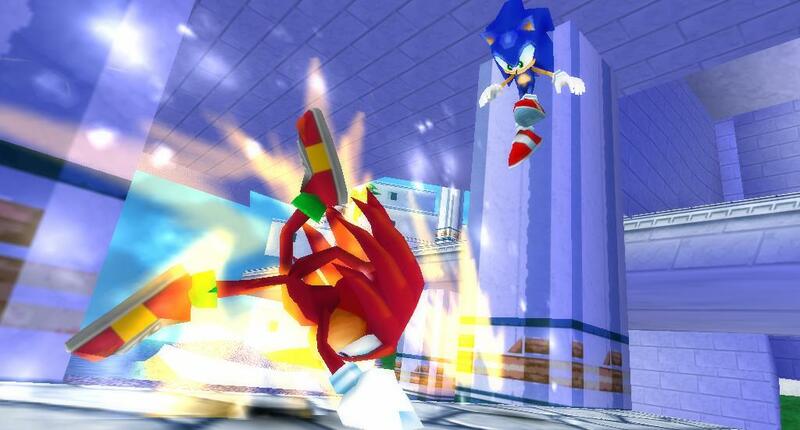 You listen to the twelve billionth remix of the Green Hill Zone. But that’s OK, because this one sounds super nice. Performed by the YouTube band Tetrimino, their story is a familiar one: four people who have never met each other use the power of the Internet to play music together. Video game music, at that. Sometimes it works, sometimes it doesn’t. The individual members have been bouncing about on the video site for a while, but only recently have decided to team up, this rendition of the Green Hill Zone being only their second track together. Their previous video was a Chrono Trigger medley, which you can listen to here. So yeah, give it a listen. You can never get enough live music, and those solos? Just proves you can still listen to this song after Generations and not get sick of it.